I've often been asked throughout my life how I stay thin. I'm not an expert, but I can explain my typical eating and lifestyle habits. Several years ago I decided I needed to learn how to get rid of frizzy hair. 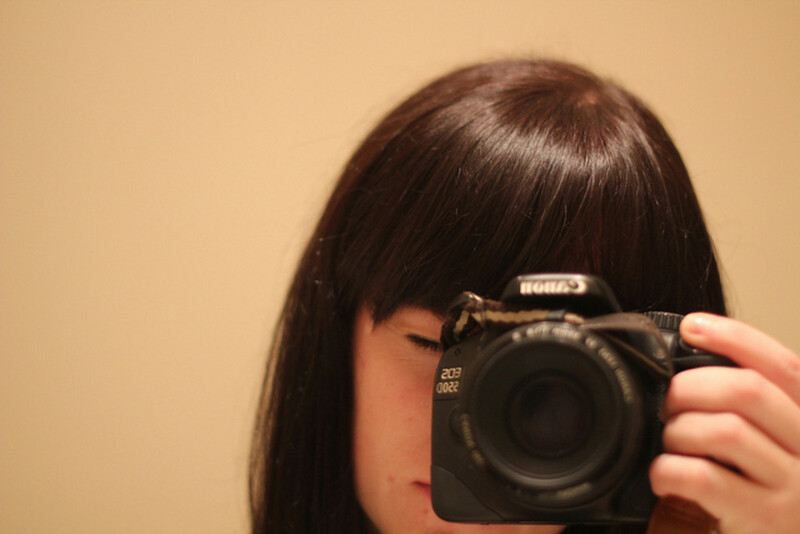 My hair is medium length and medium thickness. It's always been a bit on the fine side and has some natural wave, but isn't actually curly. Unfortunately, it's also a bit dry and tends to get frizzy if I'm not careful with it. It gets crispy and flyaways if it gets too much attention from moisturizers, styling tools, or chemicals. A simple razor cut from the salon can result in a frightful splintered look. As for humidity or a good rainfall, these can produce a large halo of angel fuzz hovering about my otherwise straight hair. Because of this, I dedicated myself to find a solution. This article will outline what I learned and what I found to be effective. At one point in my life, I used to wash and blow dry my hair every day. It gave it added fullness. Of course, when I wanted curls, I used hot rollers, and occasionally a curling iron. Over the years, I've highlighted and colored it, permed it, had it layered, and when the shine seemed to dull, I piled on more and more conditioner. Of course, stylists weren't always easy on my hair either, using all kinds of implements of destruction to coax it into a particular look. Razors, for instance, are a favorite in some circles, although certainly not mine. Then there were the variety of products from volumizers to mousse which conspired to further transform my strands into fuzzy, frayed wisps. Of course, some hair is more prone to frizz. Fine hair is often a victim, but so is dry and coarser curly hair. 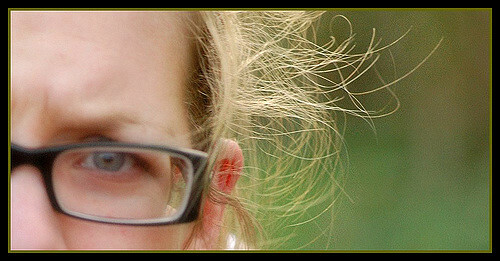 Certainly damaged hair with split ends is often a prone to frizziness as well. There are plenty of factors outside our control too, like high humidity. 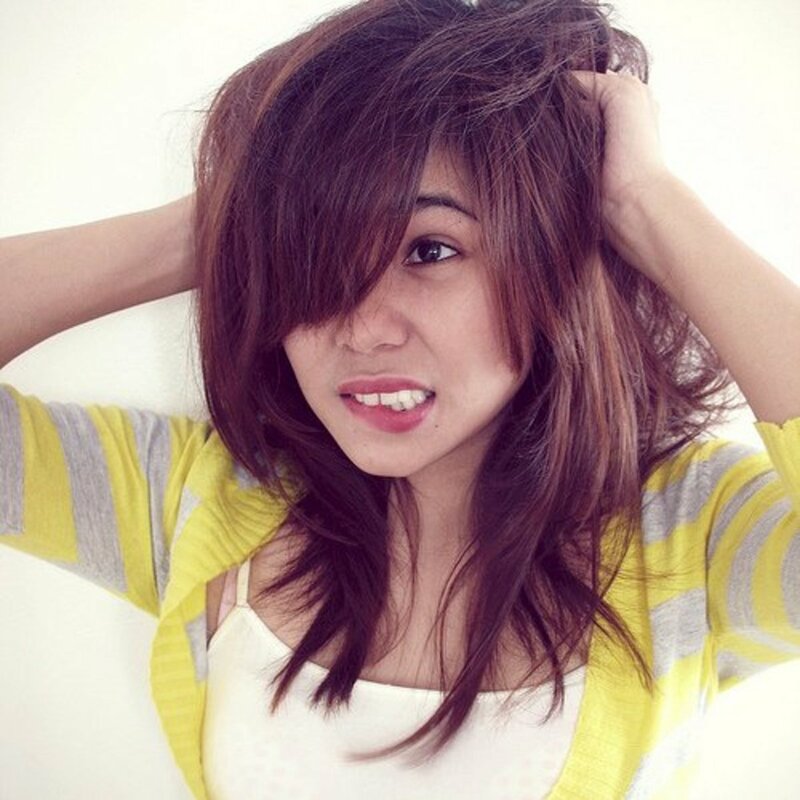 If you're aware of the culprits that contribute to frizzy hair, then you're well on the road to curing the problem. A few changes in your daily routine and some different products can make a significant improvement. The key for me has been to identify the products that work best for me, use those products in moderation, and cut out others altogether. Give your hair a chance to benefit from its natural oils and to take a break from some of the drying chemicals in shampoos and other products. For people with very greasy hair, dry shampoos can be tried in an attempt to avoid daily washes and blow drying. Taking advantage the natural oils produced by your body and providing adequate moisture are first steps in reducing frizziness. From my experience, using an anti-frizz, sulfate free shampoo can really help to promote sleek, smooth hair. There are many brands available and you can find them even in drug stores. 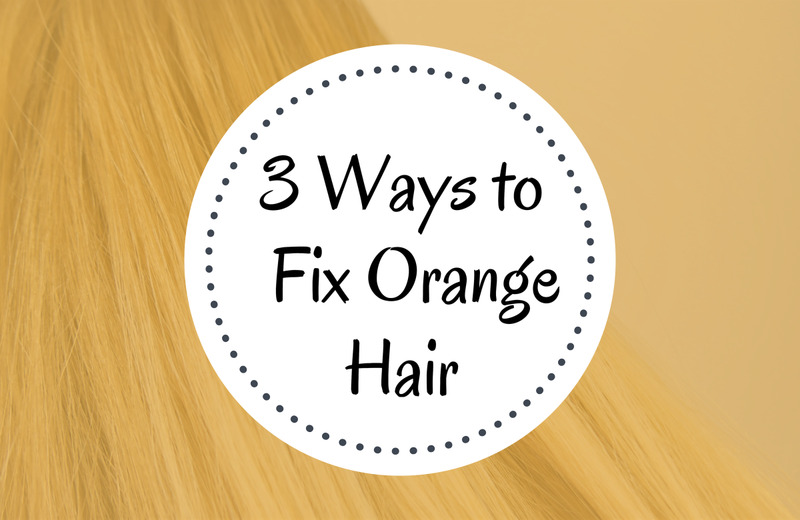 Of course, avoiding any product (mousse, hair spray, gels, etc.) with alcohol can help reduce the excessive dryness which is a foe to smooth hair. There are a number of great deep conditioning treatments and masks on the market that can be used once each week to help maintain moisture. I do these for moisture, but for me personally, what I have found to be more helpful in eliminating frizziness is a gloss treatment every 3 weeks or so. These are demi-permanent and will last for about 10 washes. 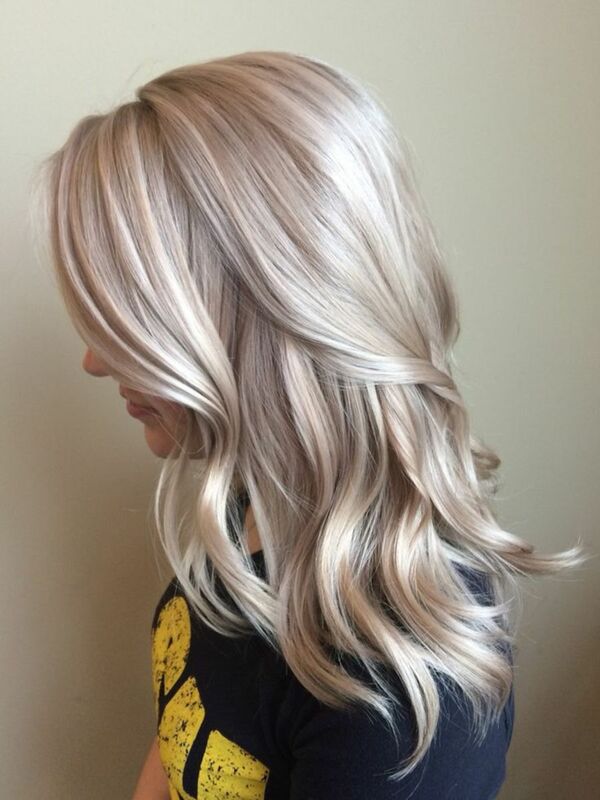 I choose a clear glossing treatment so that the color of my hair isn't affected, mix it with a 10 volume developer, coat my hair completely and leave it on for about 20 minutes before washing it out. It makes my hair shinier and helps to seal the cuticle which reduces frizz. I find these to work better for me than protein or keratin treatments. I purchase mine at a beauty supply store where there are several brands available. 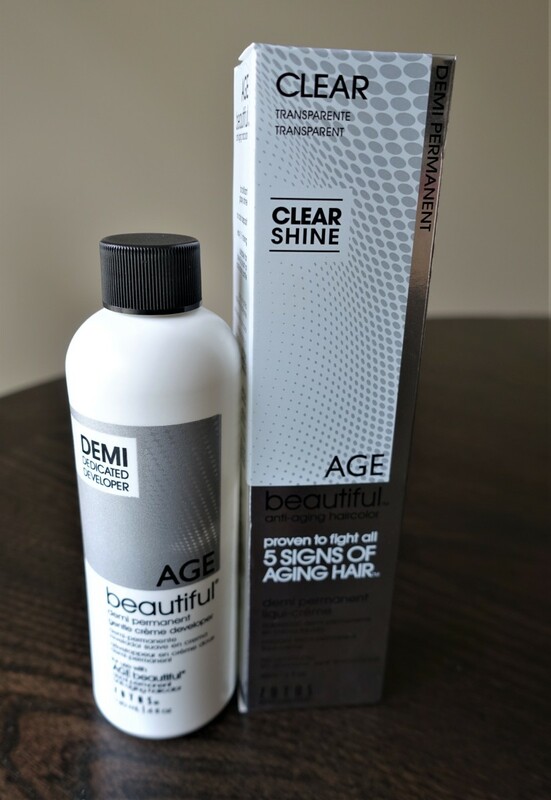 I choose the one pictured above as it is formulated specifically for older hair. I've included a how-to video below. I am not as careful in my application as shown here but it's a good way to see a before and after. This works on any type of hair. I apply a small amount of a light leave-in conditioner after washing. With many of these products, too much can give you a greasy look but the two I mention below don't seem to do this although they do soften my hair. Personally, I like to alternate products. I sometimes use Shea Butter (mine is Strengthen and Restore from the Shea Moisture line). This is often found in the aisle with other African American hair products. I always apply it to my hair immediately after towel drying. 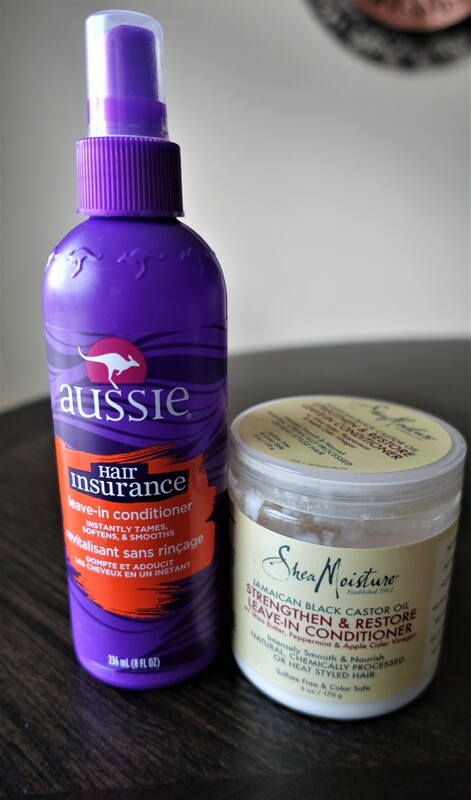 Another affordable product I use is Aussie Hair Insurance. It never weighs down my hair. It works best when I apply it after towel drying my hair and combing it through. I love that I don't seem to have to worry about applying too much as it never seems to build up or give me that greasy look. I've even used it later in the day if I find I have stray flyaways that need to be tamed after the fact. These products can do a reasonably good job for people with a moderate problem. (John Frieda has one for instance.) It's important to start with a very small amount and work it through your hair to be sure you don't weigh your hair down or get a greasy look. I seldom use this if I've used a leave-in conditioner so it's an either/or situation. I don't like to weigh my hair down with too much product and there does seem to be a point of diminishing return. Many people use Argan Oil but it doesn't work well for me. I find that it looks nice right after applying, but I always have to re-apply throughout the day and my hair ends up looking oily. Likewise, hair wax builds up and weighs down my fine hair too much. When I use these products I find I have to wash my hair more frequently because of the product build-up. Infrequently, if the weather is particularly humid I sometimes apply just a bit of hairspray after my hair dries to help keep the cuticle sealed. 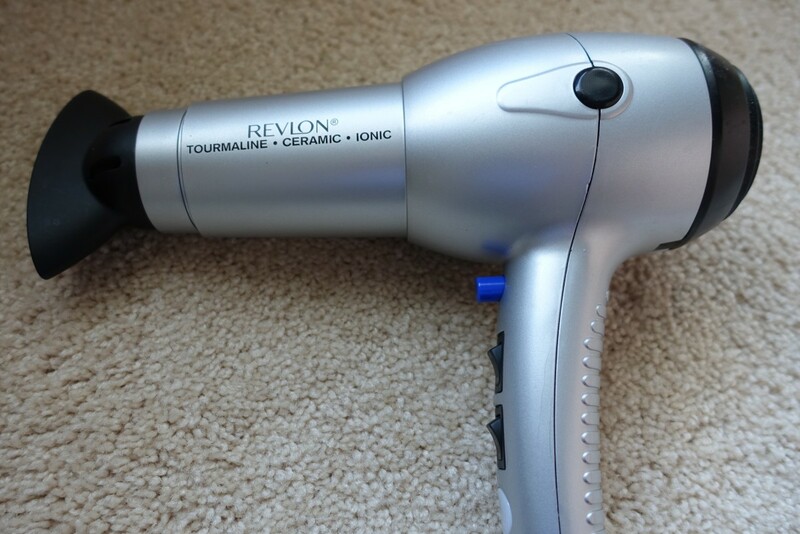 Routinely blowing hot air on your hair can dry it out. Allowing it to air dry can reduce this and, in the long run, give you healthier hair that is less prone to frizz. 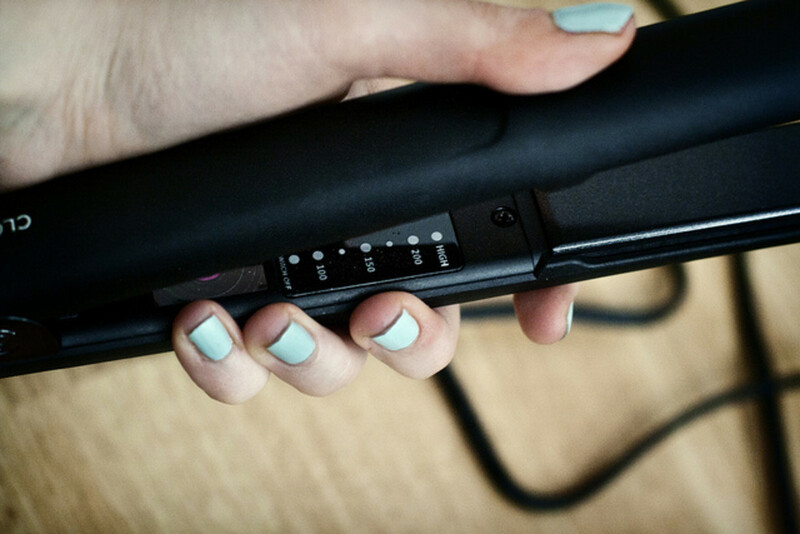 However, if the weather is humid or you have serious frizz, blow drying your hair properly can help solve the problem by helping to seal the cuticle. Personally, I allow mine to air dry at least 50% of the way and then blow dry it after I've applied the leave-in conditioner/heat protectant. Although cool air will keep your hair healthier, using warm to hot air and blowing in the direction your hair grows (down the length of the hair shaft) will reduce frizziness. I definitely recommend applying a heat protectant before blow drying. To do it properly, use the nozzle attachment to get a focused, directed stream of air. Hair should be held taut, using a non-bristle brush, while drying with warm to hot air. At the end, a blast of cool air will help seal the cuticle. I always dry mine completely before going outside into any humid or damp weather. Making sure it's completely dry and sealed with a leave-in conditioner before exposing it to humidity helps eliminate frizzy hair. Stylists use these appliances with great success on my hair. After using the flat iron, my hair is smooth and it remains that way until I wash it. However, due to the potential for damaging my hair, I avoid them at home. 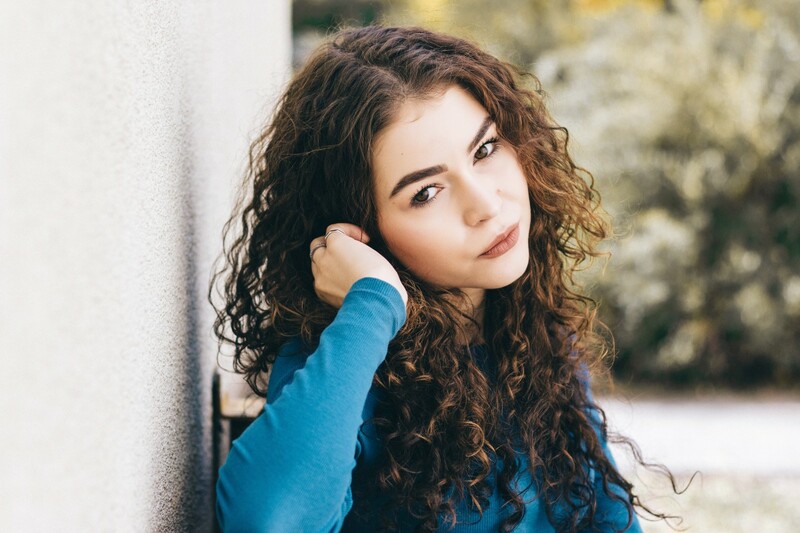 If you have curly hair or use them only occasionally this may be an option, but care should be taken to avoid damaging your hair. For me personally, the short-term gain with these appliances aren't worth the potential for long-term damage. By trimming your hair every 6 to 8 weeks you will cut off any split ends that add to the problem of frizziness. For those of us with serious frizz problems, razor cuts seem to exacerbate the problem. I tell my stylist simply that I don't want a razor used on my hair. If you have frizzy ends, you may also benefit from a blunt cut without excessive layering. Personally, I have a couple of layers around my face and that's it. With more layers, I get more frizz. What Have You Found Most Useful in Combating Frizzy Hair? Is There Something Else You've Used or Done to Eliminate Frizzy Hair? My mother introduced me to the Shielo Volume Hairspray a few years ago and I have never gone back to another product and or even tried a new product. I definitely found what I was looking for with the hairspray. The price is good for a premium hairspray. It is lightweight but holds very well. It doesn't leave any residue on your hair no matter how much you use! I can spray my hair at five thirty in the morning and when I come home around four o'clock in the afternoon my hair is still held nicely in place. I also sometimes use it when my hair is still wet to add volume and hold. It is the best hairspray I have ever used and I would recommend it to anyone! 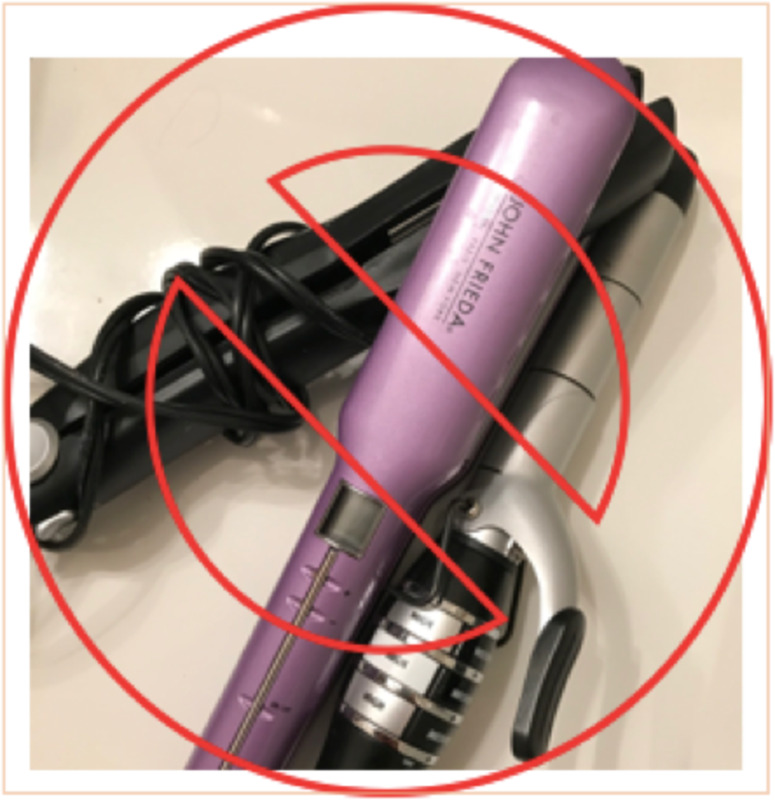 Tere, I would still recommend a good leave-in conditioner after washing, dry with hot air, straight down the hair shaft, and then to seal the shaft use a blast of cool air, and follow with an anti-freeze serum after you're done styling. I have never used it, but a dry shampoo SHOULD help control the greasy hair without having to wet wash and blow dry each day. I have fine, wavy, long hair that is prone to frizz (on humid days) and static (on dry days). I use the Shielo "Bounce Style Creme" which is all-purpose that you can use to tame frizzies and static, straighten hair or boost curls, and add shine, depending on how you use it. After towel-drying my hair, I usually rub a nickel-sized amount into the ends (not the roots where it can get greasy) and then blow-dry as usual. 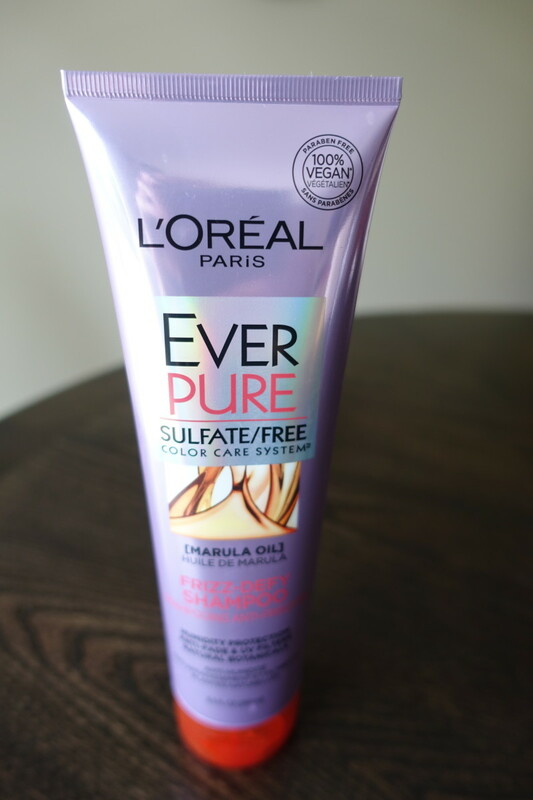 It really protects my hair from heat styling damage and looks so healthy and shiny. My hair smells great, too! Don't expect a lot of hold, but your hair will be touchably super soft. Also, make sure to evenly-distribute the cream in your hair. Be careful not to use too much or your hair can look a little oily/greasy like you haven't washed it. Great write! Excellent information and so well written. A++!! Thanks for these great tips. I remember back in high school, my classmates envied my straight hair. They said it looked like the hair of Teri Hatcher in Superman. Then in College I started dyeing it to red shades whenever I get heart broken. Since then my hair never came back to its once good looking state even though I don't color it anymore. Great tips and advise for all of us blessed with the frzzies! Thank you! I have curly long hair and it's tendency to FRIZZ is great. These tips will def help, I've also found that a deep condition (the kind you leave on for 5-10 minutes) really does wonders to holding moisture for a couple days and it looks nicer for longer. I have medium long hair, and its FRIZZYYYY!!!! I HATE it! I do not blow dry, and i was it every 2 to 3 days. I do not use tons of products, I haven't blown dry my hair in over 15 years For the last few months, i am using Fantasia frizz buster, and it works pretry well. My hair is, for lack of a better word, FLUFFY. it starts at my ears down to the end. If in a ponytail, it does not lie against my back. If i use gel, it just makes stiff frizzies. My hair looks PERFECT when its about 50% dry, and its damp. It looks so nice in a clip or a headband. Its getting to the point that I almost feel like a teenager again, spending hours on my hair and buying all kinds of products to tame the frizz! nice hub, i'm looking for tips for my frizzy hair, it's useful for me, thank you mulberry. I had to read this hub as I'm here in Michigan, it is raining and 97% humidity. lol I went for a run this morning and my hair looked like a big fluff ball after. I have never thought to condition before shampooing? That is a very interesting idea. I may have to try that! when I use to use styling products everyday I would put olive oil on hair usually once every other week and leave it on for a hour or so and it made my hair so soft and shiny. Now that I rarely dry or iron my hair it is sooooo healthy all the time so you are soooo right. If you want healthy hair you must stop what you are doing wrong! Great advice and fabulous hub! OMG! I have a question! I have POOFY hair after every shower but usually flat iron it, it's super long and down to my belly button. but i'm thinking of getting a short hair cut (to my chin) If i do what will happen to it???!!! Although I've never had frizzy hair I too used to blow dry it and use irons every day and now since I don't my hair is actually thicker and soooo much healthier! great hub! garnier fructis style at the top of the bottle and then underneath in small lettering it says with fruit micro waxes.then in red it says sleek and shine.after that, anti humidity smoothing milk. at the very bottom it says strong in a yellow box. yeah i know i put a lot of info. but i just want to make sure that if you decide to try it you get the right one. try garnier fructis sleek and shine no frizz. it gets rid of fly aways. plus it is only 3 bucks. im so glad i tried it!!! Avoid any products that contain alcohol or alcohol as they are ultimately drying over time. If alcohol is in the second or third comma of the ingredients list then avoid them. Products that cost a bit more that don't contain it will actually last quite a bit longer.. Good luck girls. I feel ya! I have frizzy hair too. Now I just keep it really short to keep it under control, but my daughter has the same hair. Curly, wavy, frizzy. Of course, she won't even brush hers. She's 12. My hair is very long,and frizzy.I do not curl or straighten my hair hardly at all,or put much gell in my hair i just shampoo and condision.My hair is great without the frizz. It always looks like I NEVER brush my hair because of the frizz. My hair is damaged wich makes it even worse. Best hopes her advise works! I'm just glad to have lots of hair; most of my male friends don't. Basically, I mean if you wash your hair with shampoo each day, it is more likely to become dry, especially on the ends, and to become frizzy. Therefore, if you avoid shampooing it daily it will frizz less. So yes, if you can shower but avoid washing your hair, that helps. The natural oils on your hair will help to keep it healthy, shiny and frizz free. Shampooing no more often than every other day is best. my side of my bangs also curl up ,by the way. I younger and have the same condittion. How should I wash my hair? You said that wash it less frequently, what do you mean? Do you want me to take a quick shower no shampoo, and no conditioner? Pardon me, but, do you mind if I ask you to explain a bit more throughly? Would this be a bit more difficult if I have thick, strait hair? 1. Skip the conditioner much of the time. These products will weigh your hair down and cause it to get greasy sooner. The anti-frizz products that you DO apply should then be applied after you are done washing and you apply it ONLY to the areas that are proned to frizzing. Use them in moderation. 2. I know I've read that frequent washing can actually make your hair get oily faster...they suggest you gradually begin washing your hair less often and over time it will adjust. I know when I started washing my hair less frequently I had problems with it being oily too...it's less of a problem now. I was lucky though, I worked at home and simply put my hair in a ponytail every other day until it seemed to get better! 3. I do know that when you wash, you should rinse with cool/cold water to help reduce frizziness also. 4. IF your frizziness is mostly on the ends, then you also might consider a trim. I hate frizzy hair, but I hate oily hair even more. How can I forgo washing my hair everyday without turning into a walking grease-ball? My hair is very fine and very prone to getting greasy, especially first thing in the morning. I nearly never blowdry and rarely, if ever, use curlers or irons. Shampoo and conditioner and a leave-in are my only products. 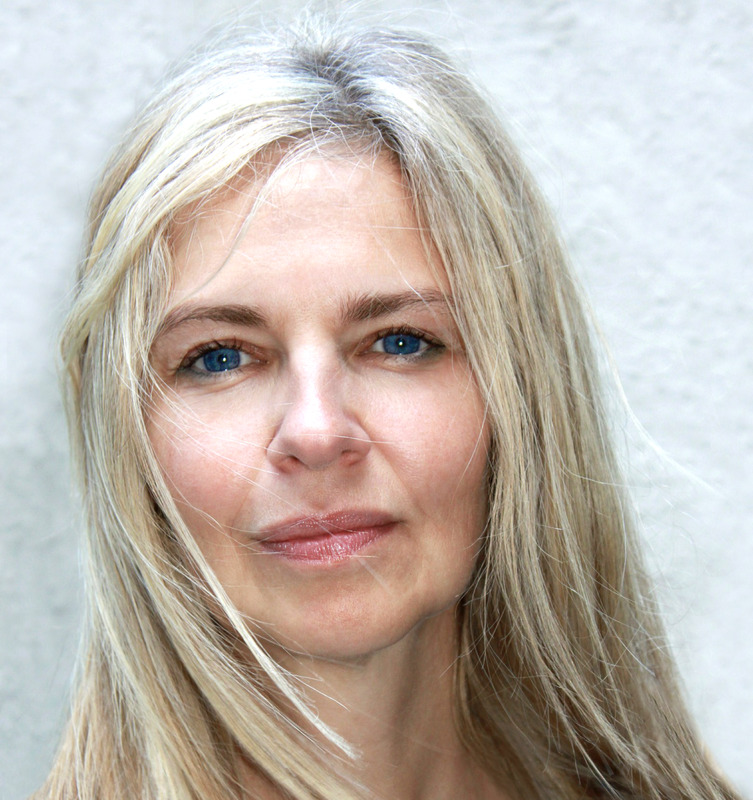 I'm hoping to "embrace" my gray hair one day. I certainly have some now, but I color it. As I get more, I hope to go natural! This is the plan anyway. 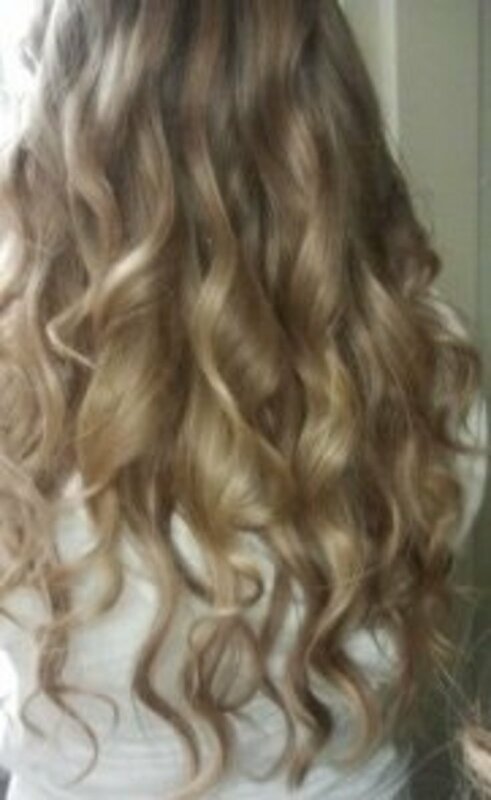 My hair is like this! Now I know what to do! Can I get rid of the gray ones too?